At our dental office in Austin, we believe preventive dentistry is the best way to protect our patients’ smiles. That’s one reason we always recommend seeing us at least every six months. And when it comes to the children in our community, we also believe in getting each one of them a dental checkup before school starts. There are numerous reasons why a dental cleaning and exam are important for kids’ smiles, especially before embarking on a new school year. 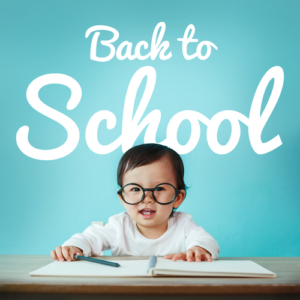 Let’s take a closer look at the top three reasons why you should add a dental visit to your back to school checklist. We know how hard it is for kids to maintain perfect attendance throughout an entire school year. Things like the flu and the common cold happen and require children to miss class. However, dental problems are also a common reason for absence. In fact, the American Journal of Public Health Dentistry reports that of the six days of school missed each year on average, two of them were because of a dental related issue. Seeing the dentist before school begins can cut back on those oral health problems and help keep kids in the classroom. If kids are missing school, they aren’t learning, and if kids aren’t learning, passing tests becomes increasingly difficult. There’s also a risk of kids becoming distracted by the pain brought on by a toothache or cavity during class. Preventive dental care can help diagnose cavities early, before they become painful, and sealants can protect teeth from future decay. Getting a back to school dental checkup is a great way to check for any potential oral health problems that could keep kids out of class and potentially lead to other whole-body concerns. But it doesn’t stop there. Practicing good oral hygiene habits at home can go a long way in ensuring your child’s smile remains healthy all year long. A proper brushing and flossing routine consists of brushing gently in soft circles twice a day and flossing in between teeth once a day. You can help your child follow these good habits by doing them with him each morning and every night. If your family doesn’t have a dentist, we welcome you to call our Austin dental office to schedule an appointment.